Many thanks Energy Observer and its entire team for inspiring us in our energy transition! 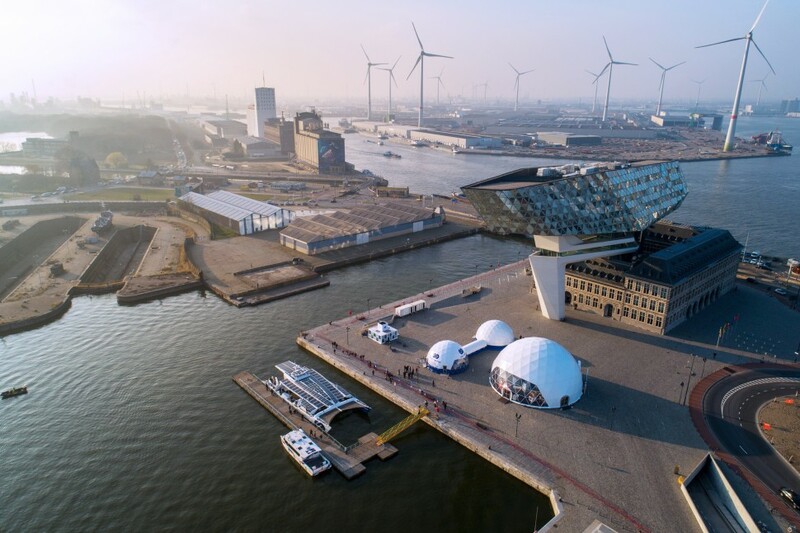 About last week; 3000 visitors, 450 school kids, several politicians and ambassadors, members of the European Commission (DG Research and Innovation, LIFE, FCH JU, Hydrogen Europe, Hydrogen Europe Research) and several industrial and scientific organisations: Maritime Industry Decarbonisation Council (MIDC), Maritime Energy Transition Forum (METF), l'Hydrogen Cluster, professor Mark Pecqueur, automotive research and developer at Thomas More University College, professor Paul Ekins, Professor of Energy and Environment Policy at University College London visited the Energy Observer and its village, Hydroville and H2-expo by CMB and Watt’s Next EnergieFest by Port of Antwerp. We wish Victorien Errusard, Jérôme Delafosse and their entire team safe sailings, bon vent et ‘A la Marine’!